Nancy's Nook : Color me greenish-blue? 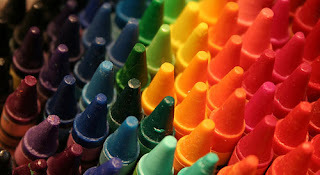 I think it's great that we have color. and they're supposed to see in black and white. I think they'd even be sweeter if they saw in color, if you can imagine that (them being sweeter). "What Color Best Represents You?" 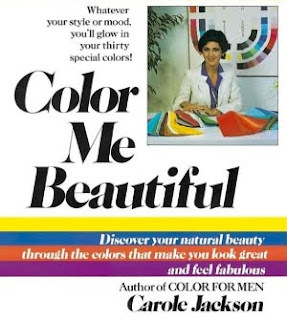 Its subtitle was (is) "What color captures the essence of your personality?" Well, of course, I had to read it. And I was surprised at where the color yellow fit in to the mix. I thought it would be a super color. It wasn't. Hmm. Years ago there was a popular book that made its way down to Brazil, where I read it. It was right before we came back to the States. COLOR ME BEAUTIFUL was intriguing.... and had me thinking that every lady in the States probably knew her 'season' and dressed accordingly. So, of course, I had to. When I got back to Texas, I had a consultation to see what colors I should be wearing. Sure, there are colors I look better in, and baby blue is not one of them. But I like baby blue. Where am I going with this nonsense? Here: do what you like, wear what you want, and admit that some folks DO have too much time on their hands. And they just blog and blog, pontificating on what they think is important. Today I'm wearing a peach color, and by george, it's not in my 'season palette'. LOL - you make me laugh! I want to read this book now, just out of curiosity's sake! I think you look great in baby blue -- especially with that necklace from Rome.